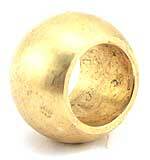 One piece Brake Cross shaft bushing in solid bronze for the 1928-32 cars. We offer either the split style or the solid style. With the split style, you won't have to take your levers off of the cross shaft to put new bushings on. If the bushings do not fit properly on your shaft, it is best to take ends off and have the shaft built back up and use these solid bushings. Two required per car. 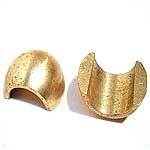 Split style Brake Cross shaft bushing in solid bronze for the 1928-32 cars. With this split style, you won't have to take your levers off of the cross shaft to put new bushings on, but this is really only half a job. It is best to take ends off and have the shaft built back up and use the solid bushings. Two required per car. Brake Cross shaft repair kit for the 1928-31 Model A Ford. Repairs the brake cross shaft if it is worn where the A-2477 style bushings ride. Kit includes sleeves that are slid over the worn area of the cross shaft and liquid metal to hold them in place, special larger bore bronze bushings, lever pins and instructions. One kit does both sides of the cross shaft. Made in USA. 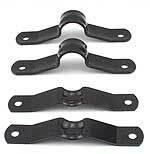 Brake Cross shaft brackets 1928-31. The brackets that mount the brake cross shaft to the frame. Powder coated black! 1 set does both sides. Made in USA. 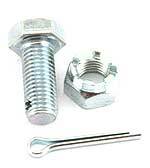 Brake Cross shaft bracket bolts 1928-31. Drilled bolts with castle nuts and cotter pins for holding the cross shaft brackets to the frame. 1 set does both sides. Made in USA. 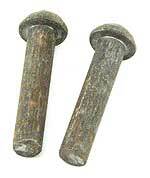 Brake Cross shaft rivets 1928-31. These two rivets hold the arms onto the service brake cross shaft. Made in USA.